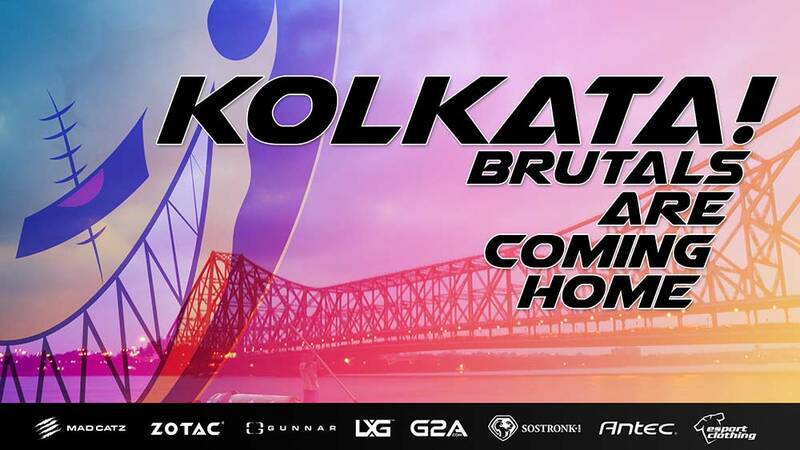 Brutals to attend Edge 2016 in Kolkata! Its that time of the year when we go back home! Kolkata Amra ei saptahante aapnader saathe khelte ashchi. If you are wondering why did we say that its because Kolkata has always been close to our hearts. Our fans over here have always made us feel special whenever we visit the city of joy. BRUTALS powered by ZOTAC India, G2A.COM​, SoStronk​, Esportclothing​, Gunnar Optiks India​, Mad Catz India​, Antec India​ and LXG – League of Extraordinary Gamers​ will be attending Edge 2016 at Techno India​. Its always a pleasure playing in front of this crowd and the games here have always been entertaining. We hope to put up a good show, wish us luck.